On behalf of Admin of JML Law, A Professional Law Corporation posted in Pedestrian Accident on Wednesday, Nov 28 2018. We bet that when the person who stole the Mercedes Benz E350 in this story, they did not think about being tracked by the owner. Unfortunately, for them, that is exactly what happened. Last week the Mercedes was stolen from South Melrose, but the owner was tracking the vehicle through GPS and told police where they could find it. A police helicopter spotted the vehicle an hour after it was stolen and this set off a police chase that ended in a car crash. The vehicle landed on its side outside of the doors of a business in a strip mall and caught fire. We bring you this story to show that, just because you are away from the roadway, you can still be harmed in unpredictable ways. While we are thankful that nobody was hurt when this accident occurred, it could have been much worse. Pedestrians in and around Los Angeles face dangers that many people do not think about. If you need a Los Angeles pedestrian accident attorney, you can count on the team at JML Law to be by your side. In Los Angeles County for the same year, there were nearly 6,000 pedestrians injured or killed. While we know that major cities are going to have more incidents than other places, those numbers are still high. Why is it that nearly every pedestrian accident results in an injury or death? Reckless and careless drivers are the main culprits. All too often, drunk drivers plow through pedestrian right-of-ways. The same thing happens with distracted drivers who would rather send a text message than watch the road. 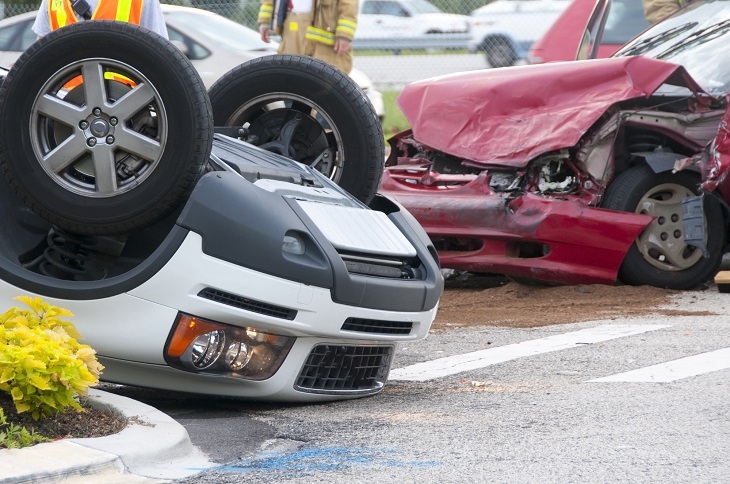 Regardless of how a pedestrian accident occurs, if it happens because of someone else’s negligent behavior, that person needs to be held accountable. When you need a Los Angeles pedestrian accident attorney, you can contact us by clicking here or calling us at 818-610-8800 for a free consultation today.